A year ago, Microsoft’s monthly bulletins tended to be fewer in number, usually in the single digits, noted Wolfgang Kandek, chief technology officer for IT security firm Qualys. This month’s bulletins cover Microsoft Office, Internet Explorer, SharePoint Server, the .Net runtime, the Hyper-V virtual machine, and both the server and desktop editions of Windows. Microsoft marked four bulletins as critical, meaning that they should be applied as quickly as possible. One covers a zero-day vulnerability, meaning the vulnerability is already being exploited by attackers. Administrators should take a look at bulletin MS15-033, covering Microsoft Office, Kandek advised. This bulletin covers five remote code execution vulnerabilities, which an attacker could use to plant and run malicious code on the computer of an unsuspecting user. This critical bulletin also covers a vulnerability, CVE-2015-1641, that attackers are already using to compromise machines running Office Word 2010, Kandek said. All an attacker would need to do to exploit this vulnerability would be to get the user to open a .DOCX Word document. Those running Windows Servers should take a look at MS15-034 which patches a vulnerability found in the IIS [Internet Information Server], widely used Web server software. With this vulnerability, an attacker could embed a system command in a packet sent to the server, which the IIS server would then execute. Internet Explorer gets fixes for 10 vulnerabilities in bulletin MS15-032, also marked critical. The final critical bulletin is a MS15-035 applied to older versions of Windows, Windows 7, Vista, Server 2003 and 2008. It covers a vulnerability in the EMF graphics format that attackers could use to gain control of a machine. 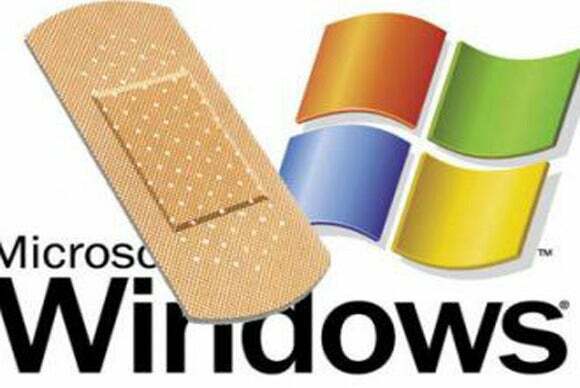 Once the Microsoft patches are tested and applied, the system administrator still has some security work to do. Adobe has issued a patch to address a critical vulnerability in Adobe Flash. Also this month, Oracle is set to issue over a 100 patches as part of its quarterly patching cycle, including a critical update to the Java desktop runtime environment.